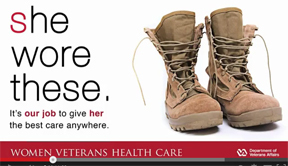 The videos below explain the history of women Vets and why they need your support today. This Veterans Day weekend, between Friday to Monday, we are highlighting the reasons why our Veterans need your support. Today, we’re focusing on women Veterans. Women have been involved in all US wars since the Revolution, officially and unofficially. Over time, their roles have changed. But, did you know that women were not officially recognized as Veterans until 1994? The Women’s Army Corp (WAC) and Navy WAVES (Women Accepted for Volunteer Emergency Service) in World War II marked the first time women officially served the US Military in roles other than nurses. They provided communications, transportation and intelligence services among others. 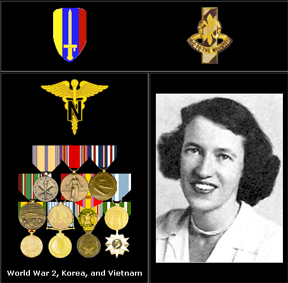 Lieutenant Colonel Annie Ruth Graham Served in WWI, Korea and died in Vietnam. Today, women are an integral part of our military and in the front lines of action with the US Army, Navy, Marines, Air Force and Coast Guard. Along with the same issues that male veterans deal with, female Vets face unique challenges when they return from war. Like men, female vets struggle with life-changing active-duty injuries, Post-Traumatic Stress Disorder (PTSD), depression and family problems. Since many military women are also mothers of young children, their family conflicts are often more complicated than those of men. Unlike men, women Vets often experience sexual trauma far too often, sometimes by our enemies; usually by their peers and superiors. 160,000 women used Veterans Administration Services in 2001. By 2010, the number rose to 300,000 women in 2010, and the numbers will continue to rise. 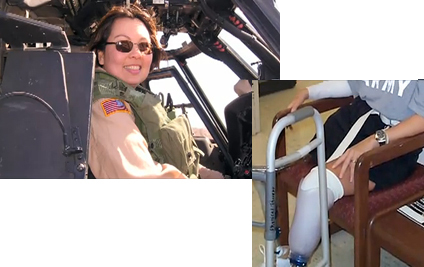 Find out more about women Veterans by watching the two videos below. The first talks in general about issues facing today’s female Veterans. The second discusses how the role of female servicewomen and Vets has changed over the years. First, if you have the resources, donating time or money is always helpful, but make sure you work with legitimate agencies. Here’s a good place to start: http://www.volunteer.va.gov/. In addition to donating your time or money through legitimate agencies (here’s a good place to start), you can make sure that all Vets are taken care of properly. It’s very important that you contact your US Senators and Representatives in Congress to make sure they our Vets and the Veterans Administration. Don’t think that your message will be ignored. Politicians know that if you take the time to contact them, odds are you will vote in the next election. One tip: be civil when you contact them, as hard as it may be after the October shenanigans. Please support all of our Vets in whatever way you can and please share this blog post with as many people as possible. All photos above are from the Veterans Administration videos referenced above and the various websites to which we link to and discuss in this post. We thank them for their service. This entry was posted in Seasonal, What's New by SolarLightingSmart. Bookmark the permalink.